Gods and magic in the modern world grace Sikora’s debut novel. Gwen Revmore’s world is much like our own, except that the existence of a huge pantheon of gods is an accepted part of everyday life. These gods, who draw power from being worshiped, compete with each other constantly for higher positions in the Promethean League’s Deity Rankings, a list of the top 100 gods. Gwen is an animal control officer who has no interest in the gods and refuses to choose one to worship. Then an accident kills her husband and critically injures her son, Sam. 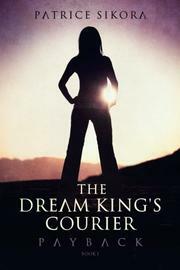 To save her son, she asks the god Nathao, king of dreams, for help. He agrees to save Sam’s life if, in return, Gwen will become his Courier, the mortal who carries messages to and from other gods and who leads the Dream King’s other mortal servants. Nathao’s previous Courier was murdered by Bayel, the god of joy, whose worshipers have turned him to a darker path by offering blood sacrifices. Bayel wants more power and thinks he can get it by destroying Nathao and taking his place on the List. Having archvillains named Ralph and Emily is a bit jarring, but perhaps that’s the point—evil can easily hide behind a mask of banality. Sikora’s characters aren’t deep, but they are fairly reasonable; even some of the bad guys are sympathetic. The concept of gods who are shaped by their worshipers’ desires and beliefs is an intriguing one, especially when depicted against a familiar backdrop of modern life. And the idea that those gods are willing to fight and even kill each other over their positions on some silly list is both amusing and regrettably familiar. Sikora’s writing is competent enough to keep readers interested, and her action-packed story includes some unexpected twists. A bit simplistic but nevertheless quite entertaining.